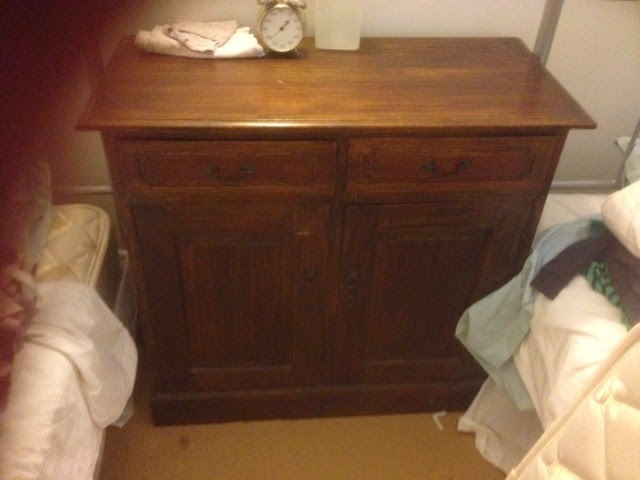 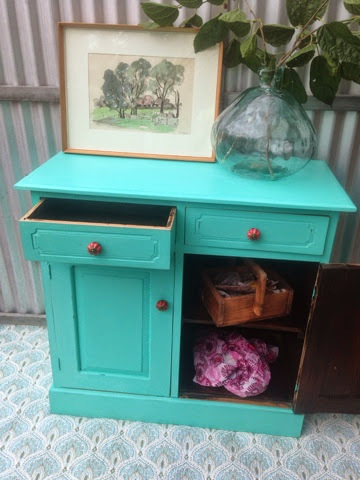 A friend offered me an old dresser that she had been using as a surface between single beds in her guest room, when she brought it over, it was actually more like a small buffet. 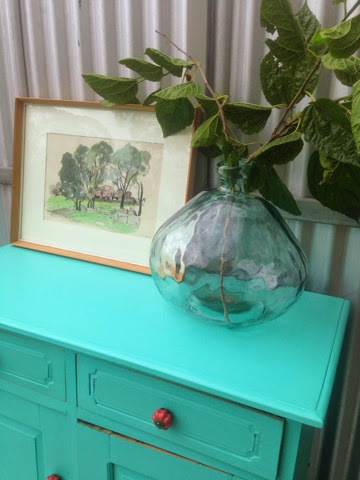 I had been obsessing over a Tiffany Blue shade that I had seen on Pinterest, made with quantities of Provence, Florence and Old White, from the Annie Sloan range of decorative paints. 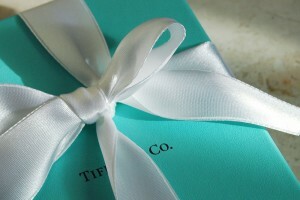 Isn't it a beautiful colour? 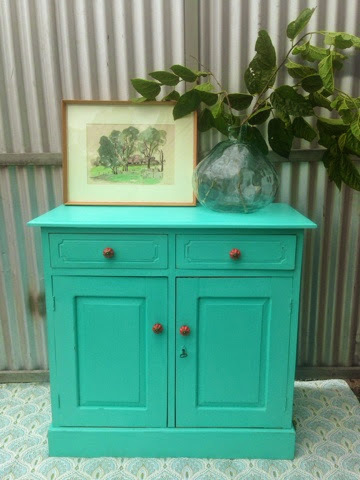 But with a little paint ... the whole piece is transformed! 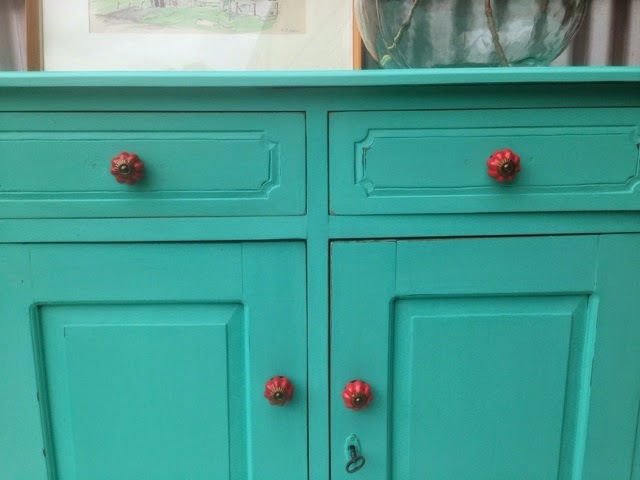 As I was painting, I realised it was such a perfect height for a baby change if you were looking for storage in a stunning shade to brighten up a nursery - hence the beautiful, fun little coral knobs to contrast with the aqua! 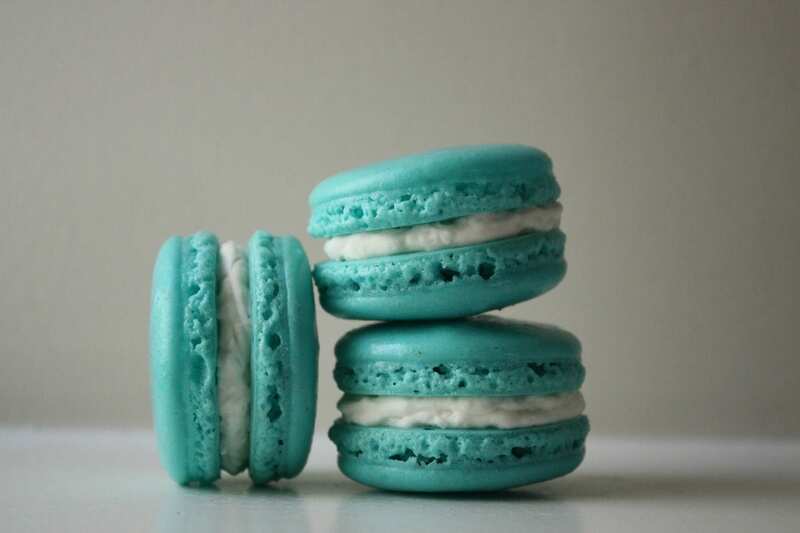 We are all viewing slightly different shades on our various devices I know, but you cant really go wrong with a pop of this aqua in your world! 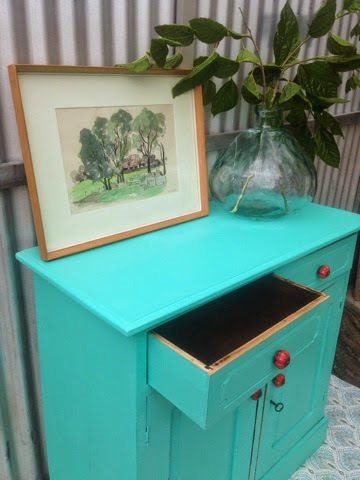 Annie Sloan Painters in Residence - Dump Desk!